The Champion Chaser Altior once again returns to the scene for the third time this season, and as was the case with his two starts already, he faces yet another small field. They all seem to be running scared of Nicky Henderson's 9yo, and no wonder why. 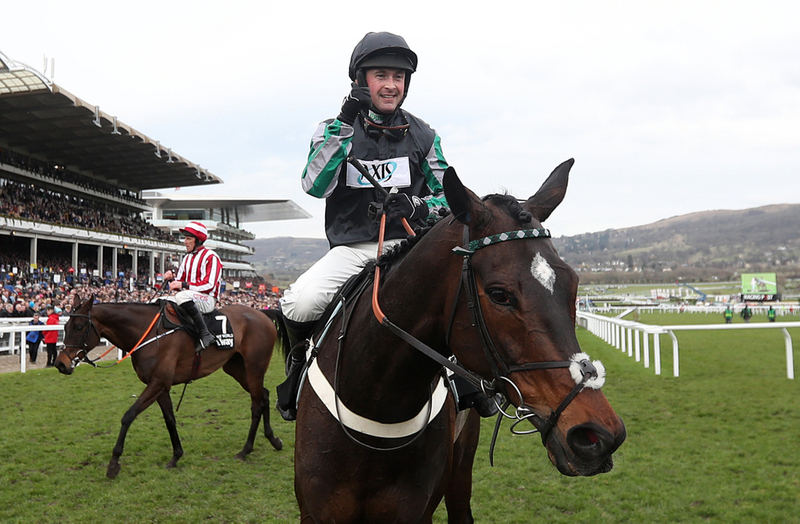 Altior heads to Ascot for the Clarence House - the first time in fact since winning a novice hurdle on his second start over timber back in 2015. He will again clash with Un De Sceaux - who won this contest very readily twelve months ago, Fox Norton who is returning from a year absence, and Diego Du Charmil who finished a distant second to Altior in the Desert Orchid over Christmas. Altior does appear to be in a league of his own, and a win here will all but confirm his short price for any Festival contest; most likely the Champion Chase. Angels Breath looks another star for the growing Nicky Henderson camp, and after his win in a Supreme Trial at Ascot just before Christmas, he now heads to Merseyside to showcase what he can do. His win in Berkshire was certainly impressive and caught the eye amongst many, which ended up presenting him with the current favouritism tag for the official Supreme Novices at the Cheltenham Festival. The 4yo's owner - Dai Walters, has described him as “something special”, following his transfer from France. Should he prove too good here, we can expect a short-price for Angels Breath for the Supreme - the first time a horse has been favourite at this stage not from the Willie Mullins yard, since 2013. Ben Pauling has had a miserable few weeks, with the news of Barters Hill being followed by the sad death of 2016 Cheltenham Festival winner Willoughby Court last week, but Bright Forecast could paint a brighter future when going for the Supreme Trial this weekend. He is set to clash with Angels Breath, but Bright Forecast will not go down easily, after back-to-back wins for Pauling on his first two starts in England. Victories at Leicester and most notably Newbury - where he charged home up the run-in has seen him rise in the market for the Supreme, and he can certainly push his claims closer to the summit with another solid display here. After an emphatic debut over fences at Kempton in Nov 2017, things never really worked out for Brain Power - in fact he never won any of his next five over the larger obstacles. He was reverted back to hurdles for the International Hurdle halfway through December, where improvement was expected, whereas a win was not. The 8yo travelled ever so strongly at Cheltenham and was left clear at the last, leading home both Silver Streak and Western Ryder, who look all but set to join him in Saturday's Grade Two The New One Unibet Hurdle - registered As The Champion Hurdle Trial. Nicky Henderson has got him back to his best, and perhaps he - alongside Verdana Blue, can lay it down to stablemate Buveur D'Air in the Champion Hurdle. Lucinda Russell has been desperate to get 2017 Grand National Winner One For Arthur back on the track since the injury that kept him out the whole of the last campaign, and her 10yo was so unlucky to unseat Tom Scudamore at Aintree in the Many Clouds Chase. He will be out to seek retribution, and to get his National campaign back on track in the Peter Marsh Chase at Haydock. We know he stays, but will need to brush off the cobwebs and up his sharpness in time for Aintree in April. A job to do here, and a creditable effort will hopefully not see his weight rise.